Home > Uncategorized > What’s on the easel? 16 Nov What’s on the easel? 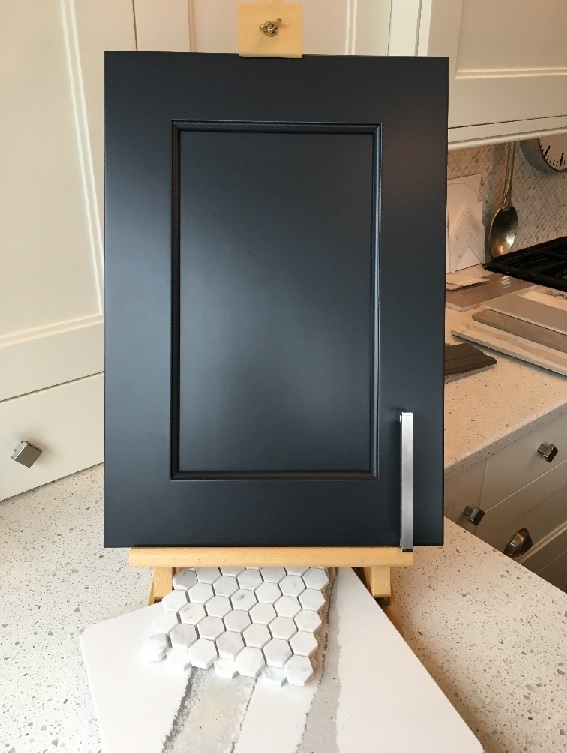 This week, we received the custom door we created along with a colour that a client showed us. We love the classic, rich feel that navy Kitchen’s present. The traditional details that this door shows, really just “wowed” us when we opened it up! We think that this will be a big hit for LSKC and our clients!